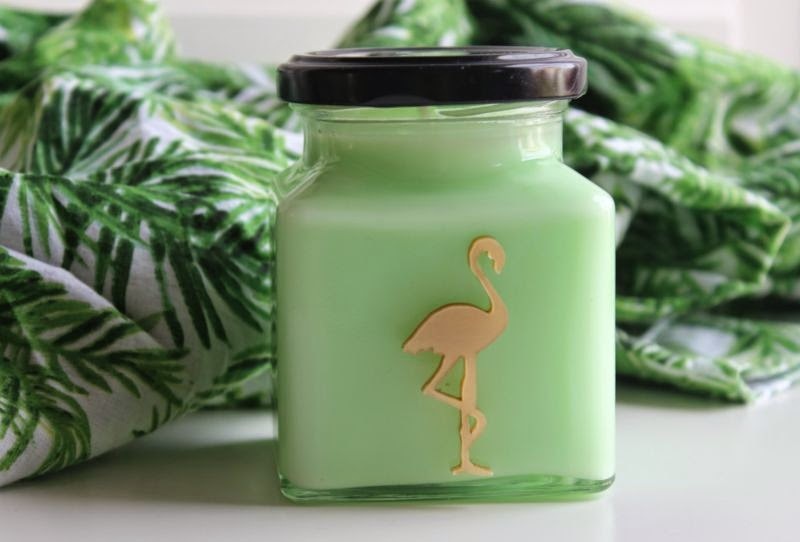 Today a brand new Flamingo Candle fragrance landed on my doorstep, as soon as I ripped open the package I was greeted by the most divine whiff of scent in a long while and put it straight to work. That was over an hour ago and I am still enamoured and as someone with more candles than sense that doesn't happen all that often. I have a good few Flamingo Candles but the new Autumn/Winter fragrance that is Applecurrant Crumble is easily my all time favourite. A bold claim considering I have only just laid hands on it but trust me it is in a league of its own. A scrumptious and more-ish blend of green apple, berries and an almond-y biscuit base. It is fresh yet has the warming notes that I often associate with the colder months. In a nutshell this smells like Autumn without the need for spices, think freshly baked apple pie and crispy, fallen leaves. Flamingo Candles Applecurrant Crumble is the perfect Autumn scent is perfect for snuggling up in the colder evening which are sadly now in full swing in my neck of the woods. You can find Flamingo Candles for £12 each - link. Your desctiption has made me want one even more..time to buy me thinks!! I love love love the look of these. Think ill have to get myself one! I love fall candles! And non-spicy ones are always welcomed! This one sounds soo nice and is really cute! I love scented candles, such a lovely thing to have lit up in the autumn time! Oh my goodness, this sounds so good! I'd be craving apple pie all the time though, haha! They look as if they are lovely, but I am yet to try them unfortunately.